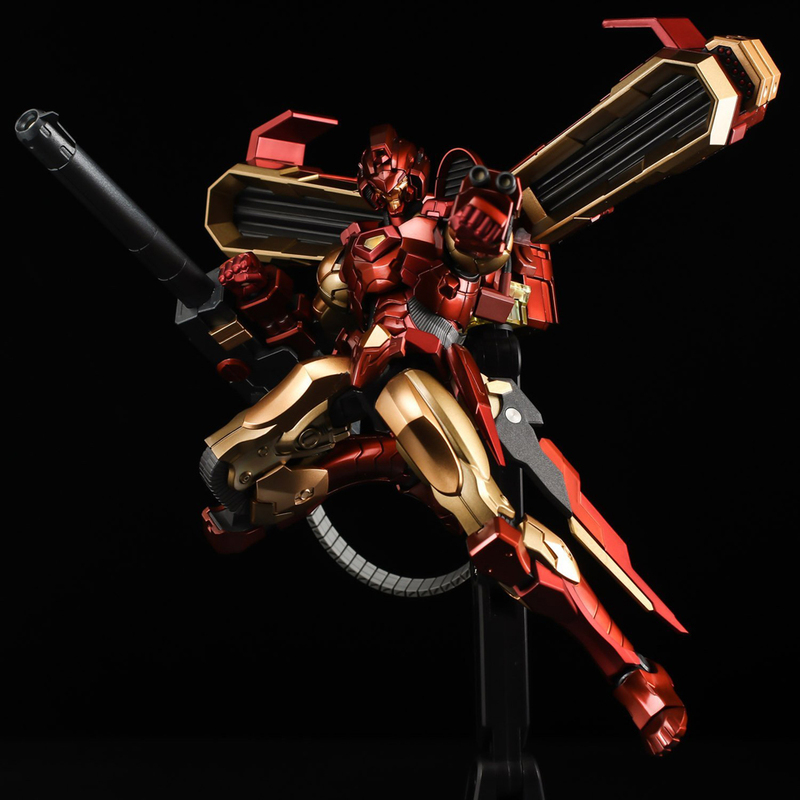 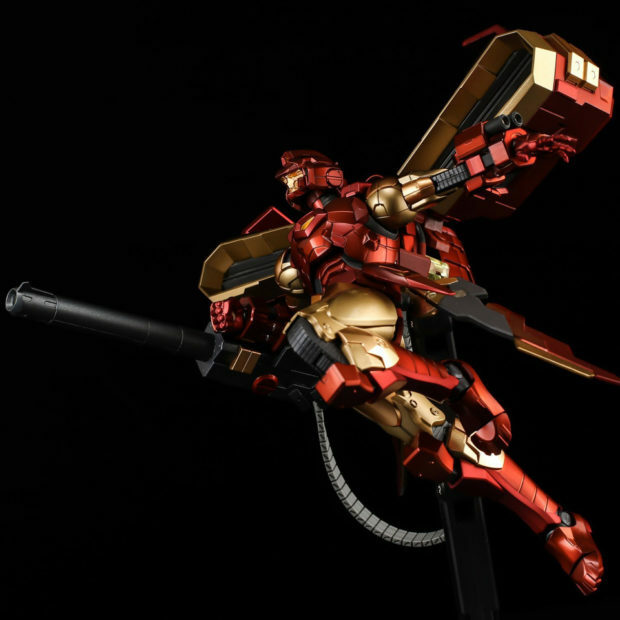 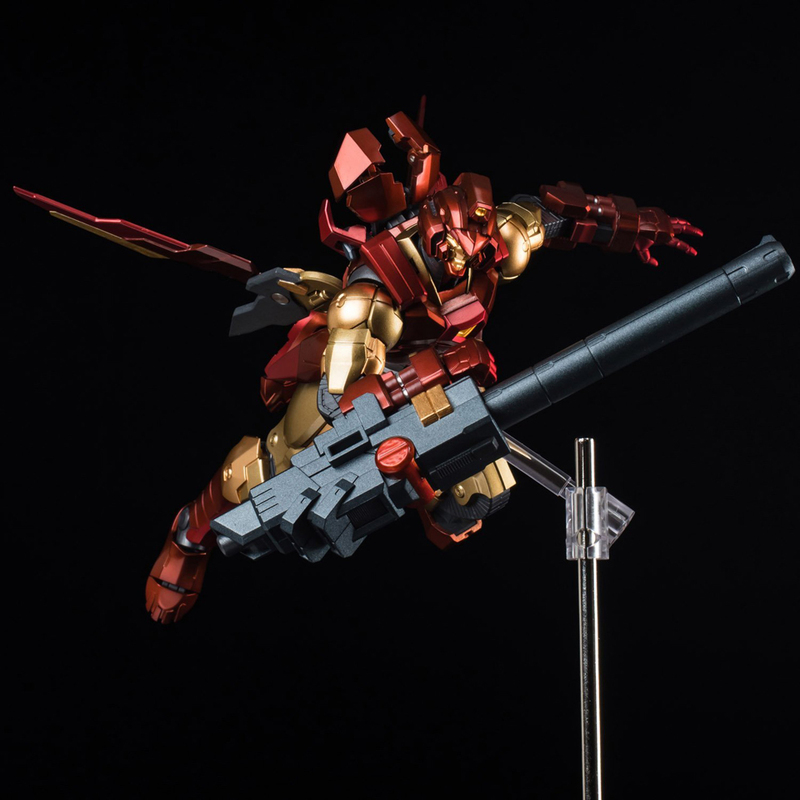 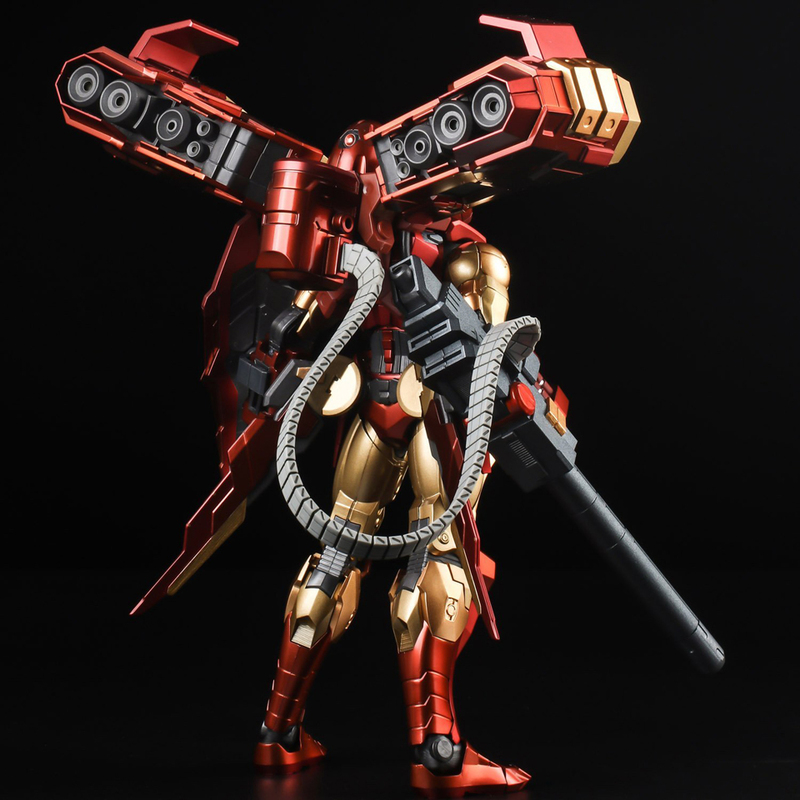 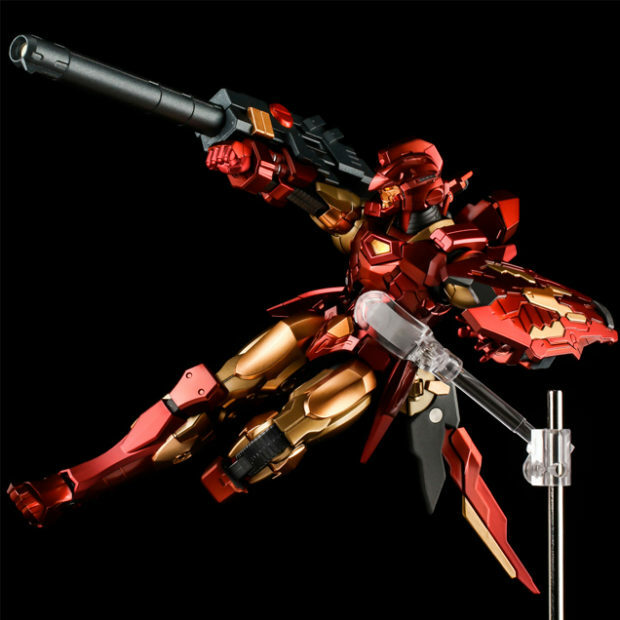 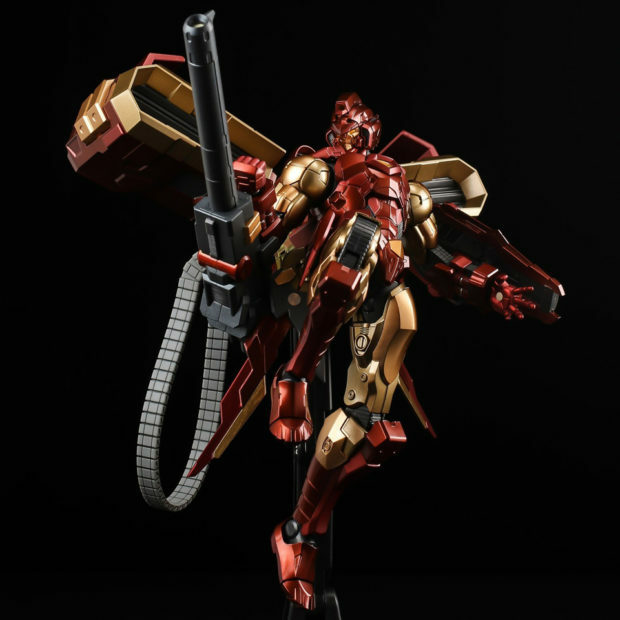 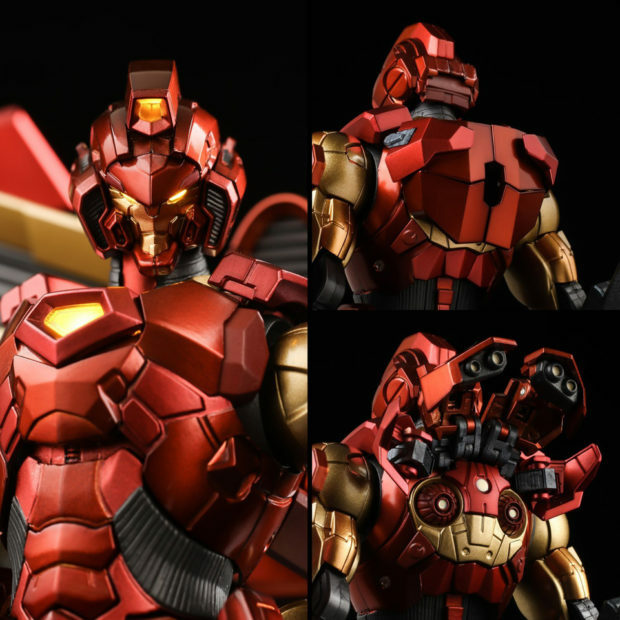 Sentinel Toys’ latest Iron Man action figure is based on Tony Stark’s armor from the silly House of M spinoff miniseries. 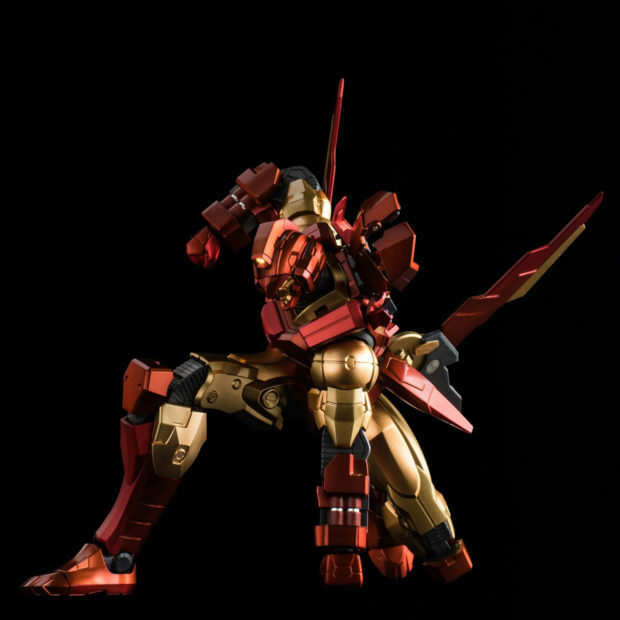 In those comics, Stark is still a weapons manufacturer, but instead of also being a hero, he competes in a TV show called Robo Death Match. 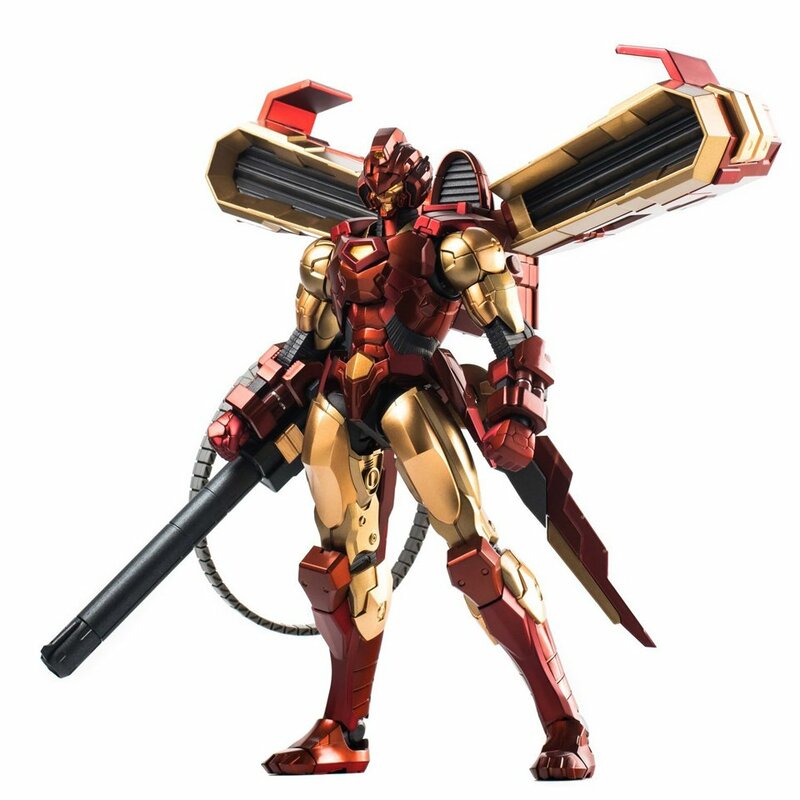 And this is his battle armor. 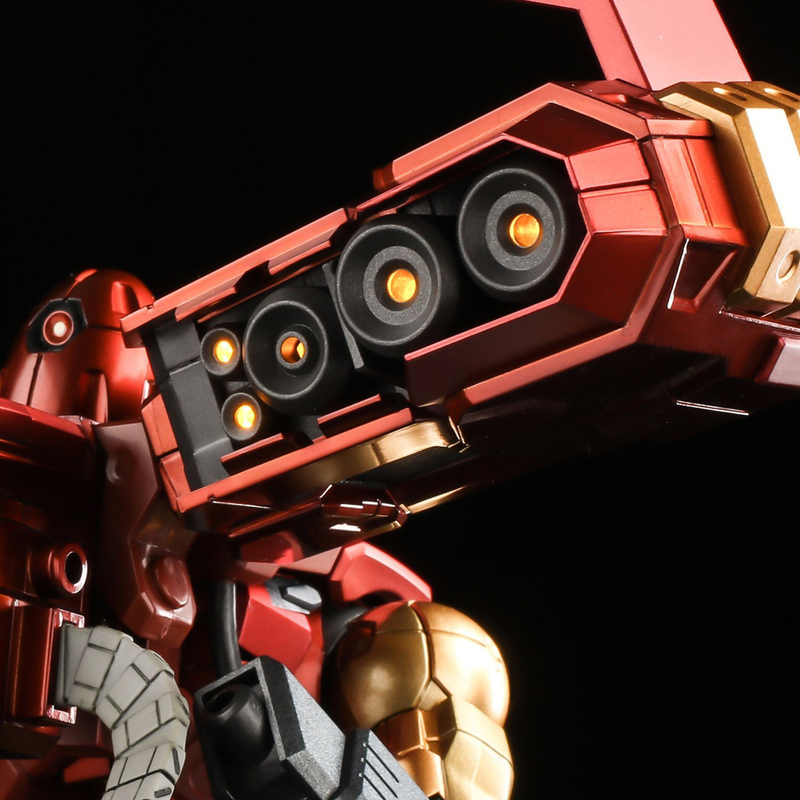 The 7″ tall action figure has a light up and detachable flight unit, a cannon, a bullet belt for said cannon, a shield, a pair of pulse beams, three pairs of hands and a Hall of Armor base. I still don’t like the look of the flight unit, but this is probably as good as it gets. The rest of the armor looks wicked, and it’s always fun to see characters with oversized weapons. 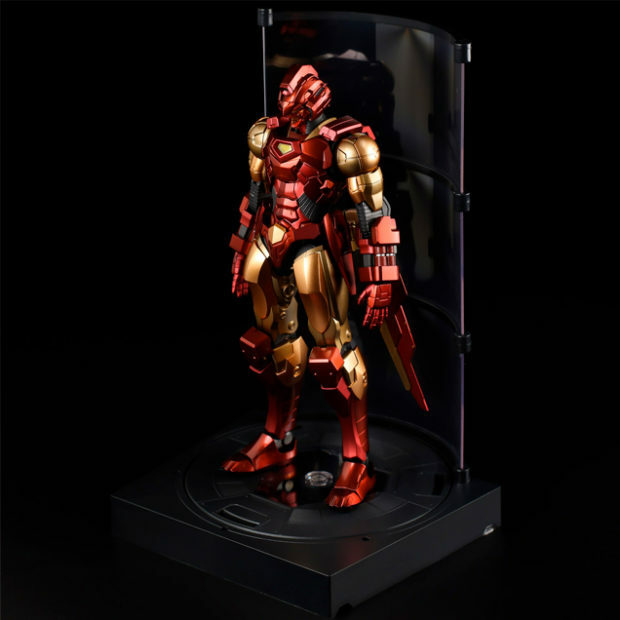 You can pre-order the action figure from Amiami for $230 (USD).